We build gardens to enhance lifestyle and take pride in our work. We genuinely want to work with you to create a garden you will love to nurture for years to come. 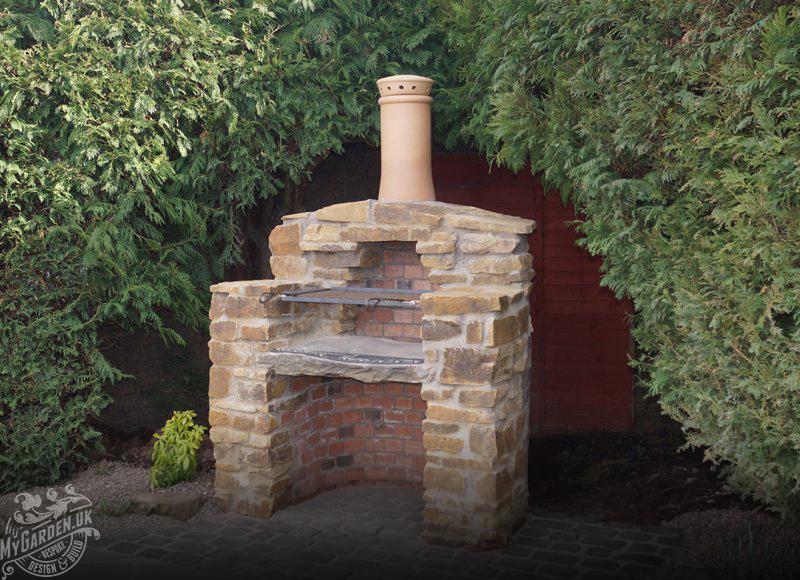 We offer our support through every phase of your project, whether a full garden build or part garden. My Garden offer quality services at affordable prices. When you hire us, you will get the best value for your money as our goal is to exceed your expectations. At My Garden we provide concept ideas and allow the final design to evolve based on land layout, agreed preferences and budget. "Donald and Craig have just finished a major project changing the front entrance to our house in Newport.Excellent workmanship great design and a superb knowledge of plants.We are delighted with the result and considering the amount of work a very reasonable cost. 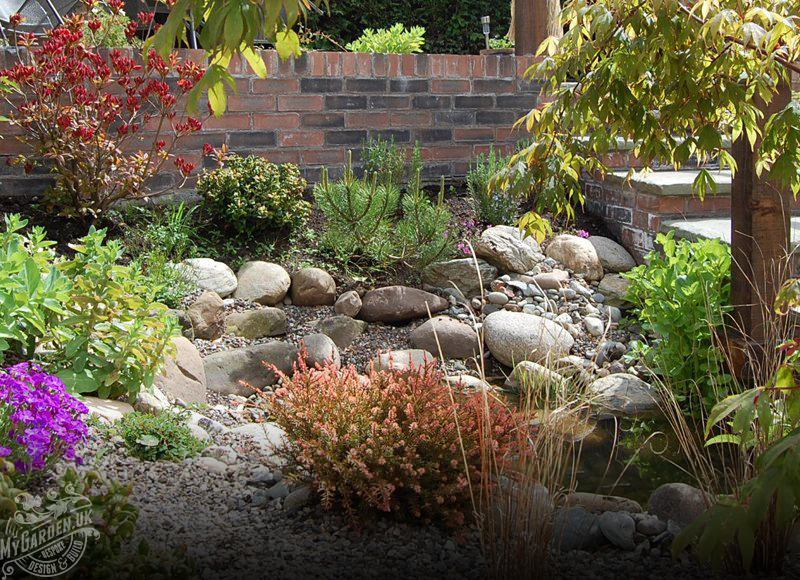 All in all we can’t fault My Garden and would recommend them to anyone." 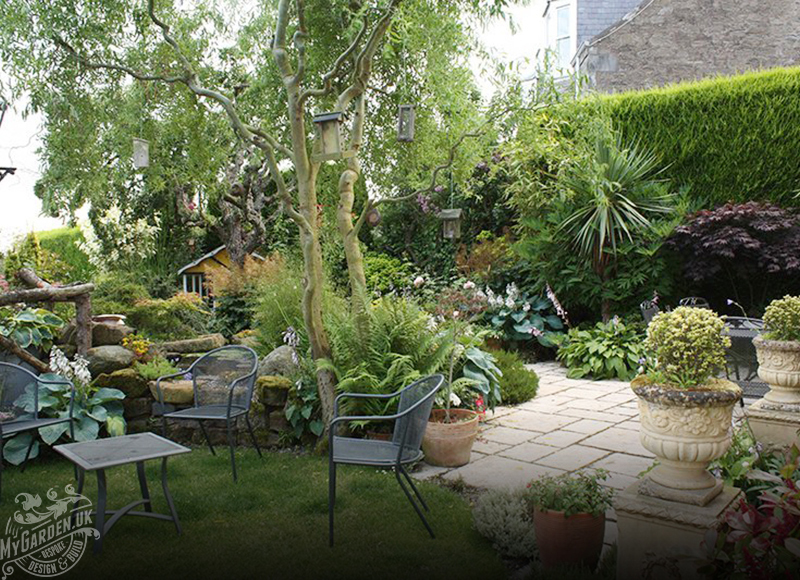 "My Garden completely transformed my basic and neglected garden into a lovey space. 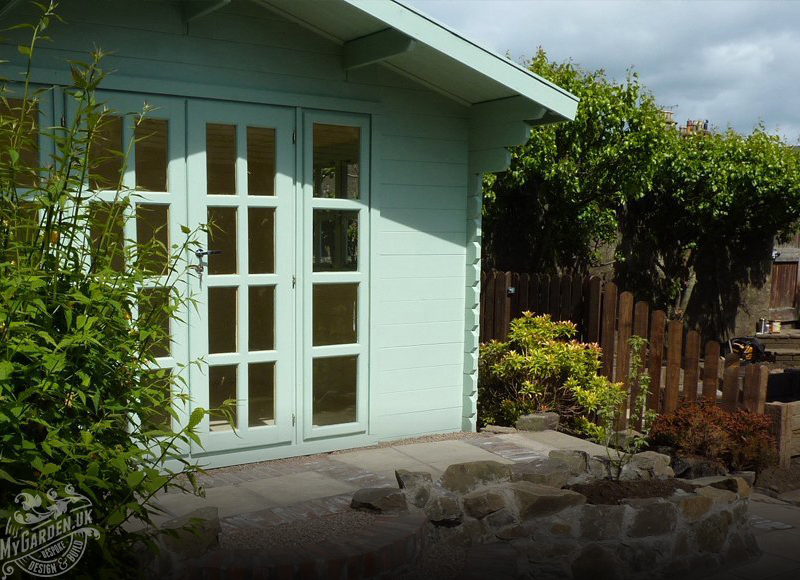 I had become a bit despondent and fed up with my garden however I was fortunate enough to stumble across Donald and his team who were able to imagine and deliver a delightful cottage style garden. I now have places to socialise and to just sit, a wildlife pond full of frogs and dragonflies, a pergola covered in roses and clematis with a hanging swing, espalier apple trees, and a meadowy area where nothing would previously grow. Donald came along with ideas, was flexible and helpful with suggestions and nothing was too much trouble. The garden actually changed and evolved once the digging started as he likes to work with the space and gain a feel for it while working. I was very happy with this and his suggestions were always good ones - importantly at the same time he listened and involved me in the process. I cant thank My Garden enough, they have given me back my love of gardening!" "I can't recommend "My Garden" enough, they made a lovely job of our garden. Donald produced a wonderful flowing design from our sketchy ideas. He had great imagination and feeling for our awkward site. The pond had to be dug out by hand due to lack of access. Despite it being done during hot summer months the team worked with enthusiasm and it was great to watch each section take shape. Lots of advice was given about choice of plants and now that they have had a chance to grow they bring year long interest. Thank you Donald and team." "My Garden transformed my sloping south-facing garden by creating a hidden pond and rockery with seating area Donald made best use of the setting with an imaginative and naturalistic design, and I now have a small haven for wildlife with lots of nooks and crannies for planting, and can gaze over the pond to the sea. Thank you! 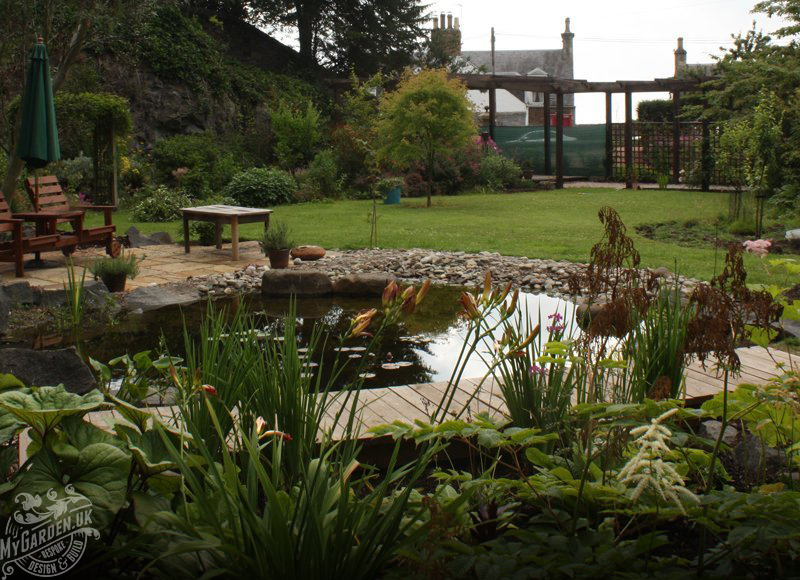 The layout of Tayport's new community garden was also designed by Donald, who planned its curved pathways and growing space in a way which is very complementary to the surrounding natural environment of burn and woodland. The space is welcoming and friendly, and the garden, now in its first year, attracts many local people to grow things or just meet up and chat. Its design attracts many compliments. Donald gave generously of his time, also leading the planning process for the site and providing training in the construction of raised beds. We have been very fortunate to have his support and advice." "We were really lucky to find "My Garden". We are very happy with the standard of their work and the professional way they carried it out. We had a vision of how we wanted the garden to look and put it down on a rough sketch. They saw exactly what we were trying to achieve and set about transforming the garden with walls, steps and a path. It turned out exactly as we hoped it would and we are absolutely delighted with it. I would have no hesitation in recommending Donald to carry out your project." "My Garden laid a lawn at the back of our house more than 3 years ago. They also did a small amount of stone work. The guys approached the job in a very professional manner and completed the job to our complete satisfaction. We are still impressed by the end result and it has had lots of compliments. We would have no hesitation in recommending this company to do any garden design project." "When I bought my cottage four years ago I was told about Donald and his team. The area which had to be tackled had never had anything done to it for years other than a place to bury all the previous owners cats. Donald discussed all the wonderful designs he was thinking about with me. I gave him the go ahead and boy am I so glad that I did. My garden is a dream, somewhere where I can sit with a glass in my hand and smile at what I see.....all down to Donald and his team. I now have a garden that I love and is so admired by passers by. I would recommend My Garden to anyone, what you get is a bunch of dedicated, trustworthy, hard working men who can make dreams come true." "Donald has great vision and from a vast expanse of sloping grass he has given me a garden with different areas for entertaining and play. He instinctively knows what plants will flourish and enhance each area. He will listen to your ideas and give his experience, knowledge and skill with the aim of providing a unique garden to enhance the house. I have no hesitation in recommending the My Garden team. The team are dedicated, hard workers, enthusiastic and even enjoy the work."